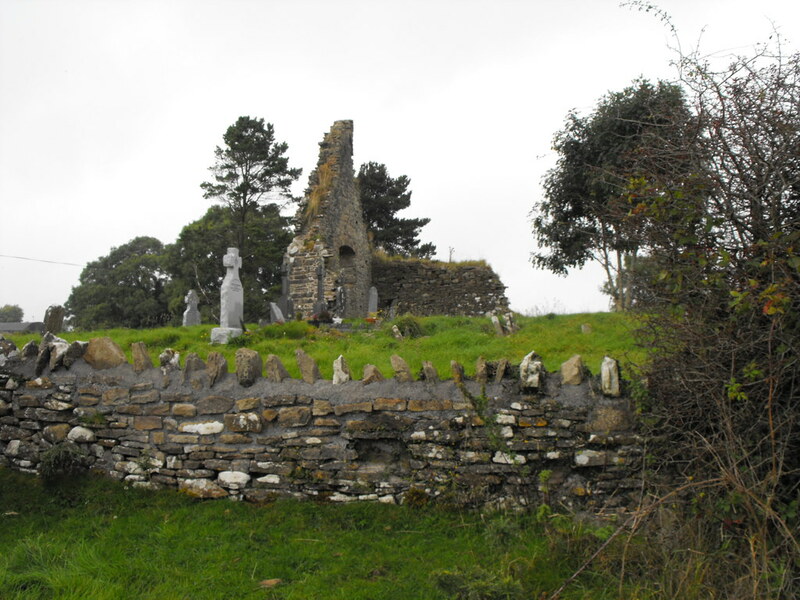 The Standing Stone: Roscomroe, Church, Holy Well and Rag Tree, Co. Offaly. 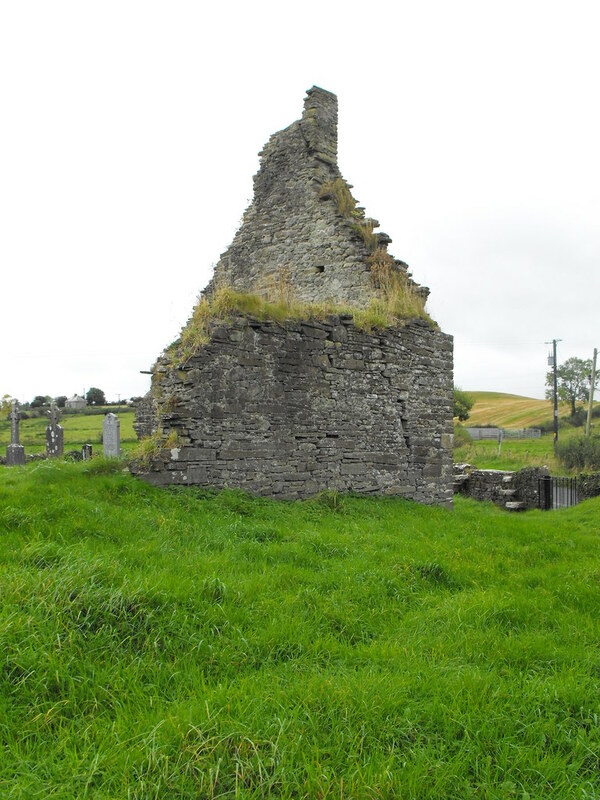 Roscomroe, Church, Holy Well and Rag Tree, Co. Offaly. Location – W of Hardyman mountain in the Slieve Bloom Mountains. Description and History – This site is somewhat frustrating in that I couldn’t really find anything out about its history. The present remains of the church are medieval but it is believed that this was built on a much earlier Christian foundation which is attributed to St Molua and to whom the nearby holy well is attributed. 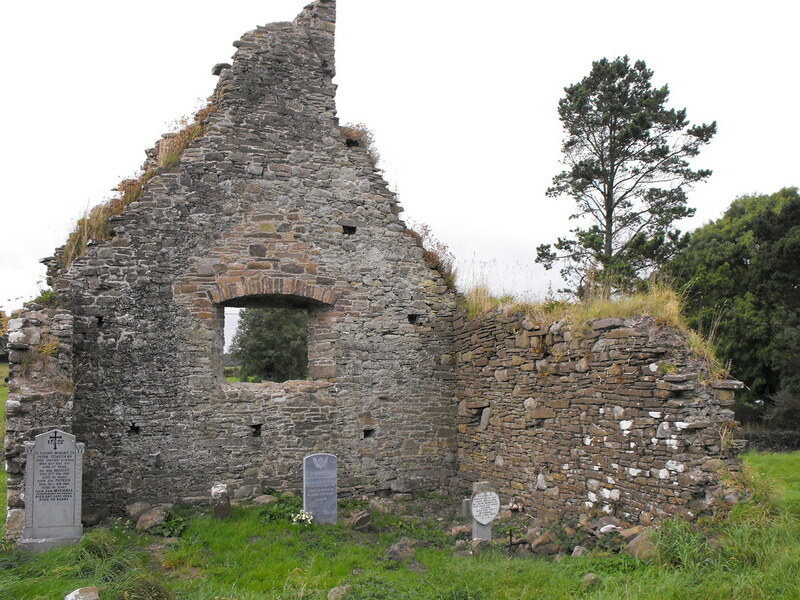 St Molua is also associated with and allegedly buried at Kyle in Co. Laois. 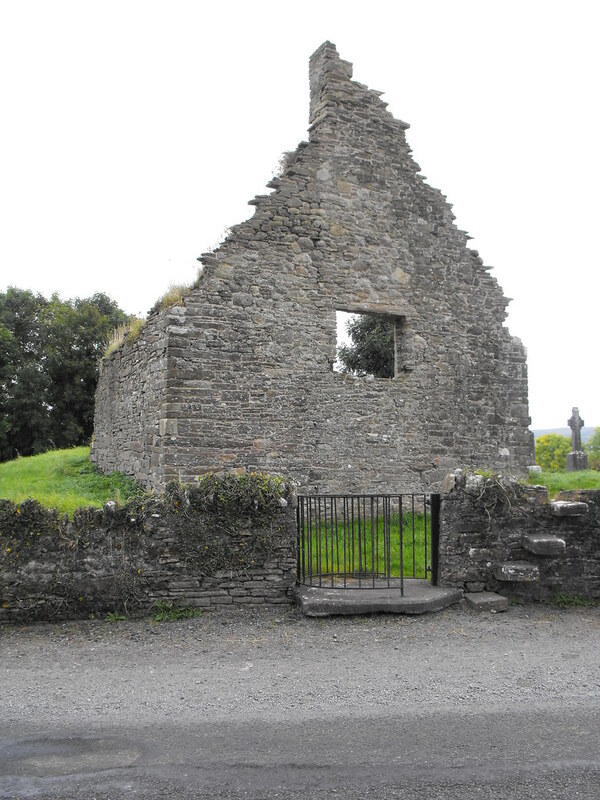 The remains of the medieval church consist of the W gable end and portions of the N and S wall. The surviving gable stands to full height with portions of the bellcote remaining. It really is a very attractive ruin within a nicely kept graveyard. 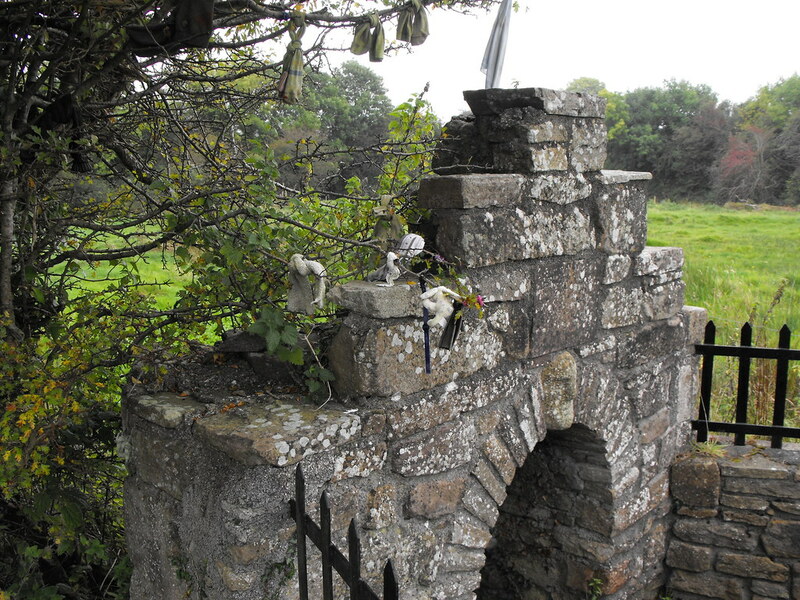 The holy well sits in the field to the rear of the graveyard. 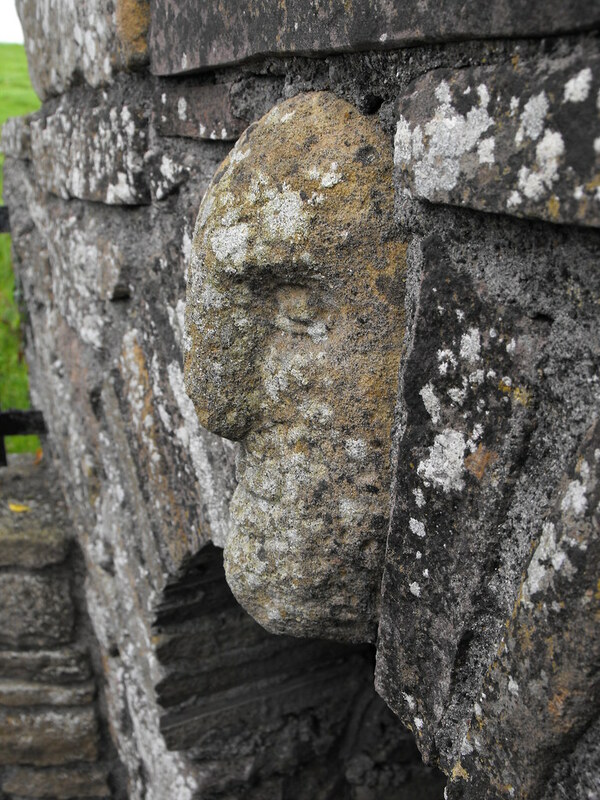 It can be accessed via a gate next to the entrance to the graveyard. The field can be a little boggy but it’s well worth making your way there because it is a nice little well. 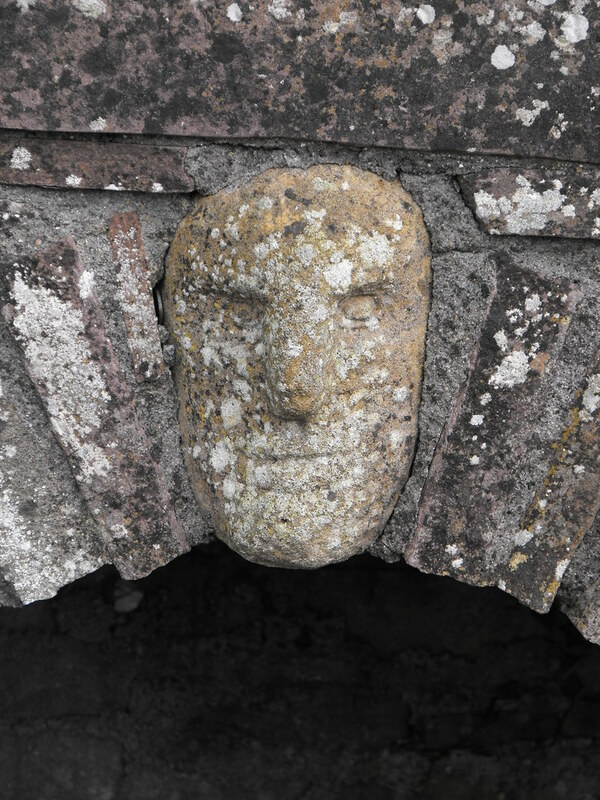 The enclosure is modern but very nicely done with the face of the saint represented on the face of the well which is very similar to Cumber Upper which is also in Offaly. The rag tree sits next to the well and only has a few rags attached to it. I get the impression that this well is not widely used but somebody is going to the effort of keeping it well maintained which is really great to see. 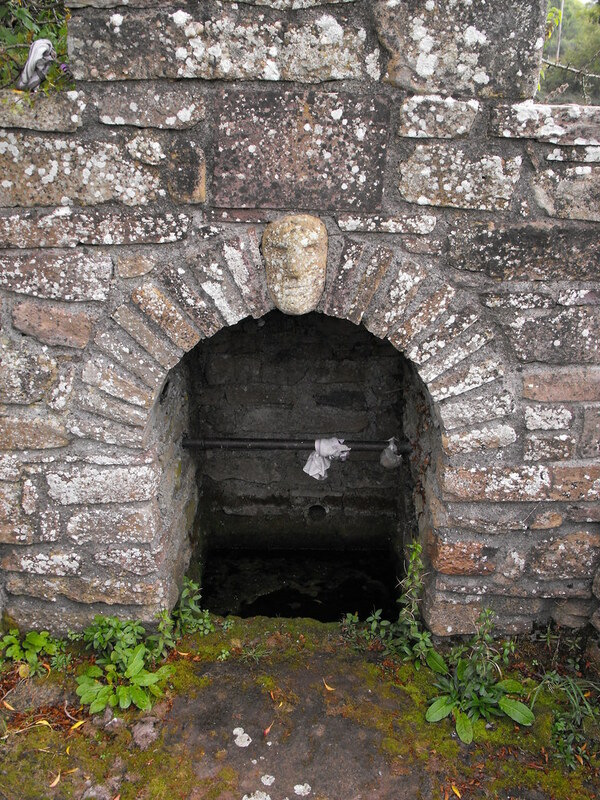 When you see holy wells like Anatrim in Laois, which is barely identifiable, this is a nice sight. Difficulty – The church is right on the side of the road with plenty of space for parking. The well is a little harder to get to depending on the weather as it can get boggy. I think this gable end has a fantastic shape to it. 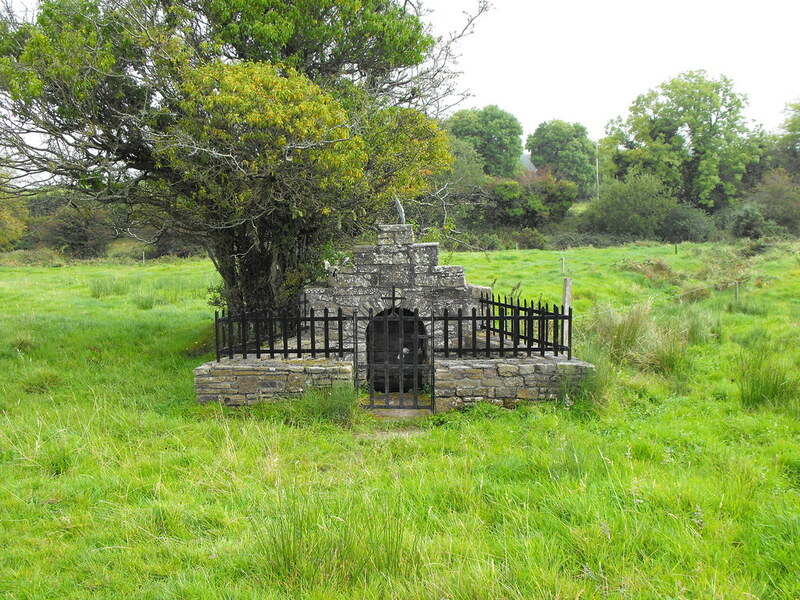 The holy well in the adjoining field. I think the face of the saint looks more realistic from this angle. A few rags hanging from the tree. hi thanks for writing on this well, my husband and I found it by chance, while driving around Co Offaly on the weekend of 25th march '12 and I have been trying to find out about it since.I found a little on a St Molua who was in Bangor Co Down he cured somone's sore foot so maybe it's why the socks are on the tree???? but not sure if it is the same saint.